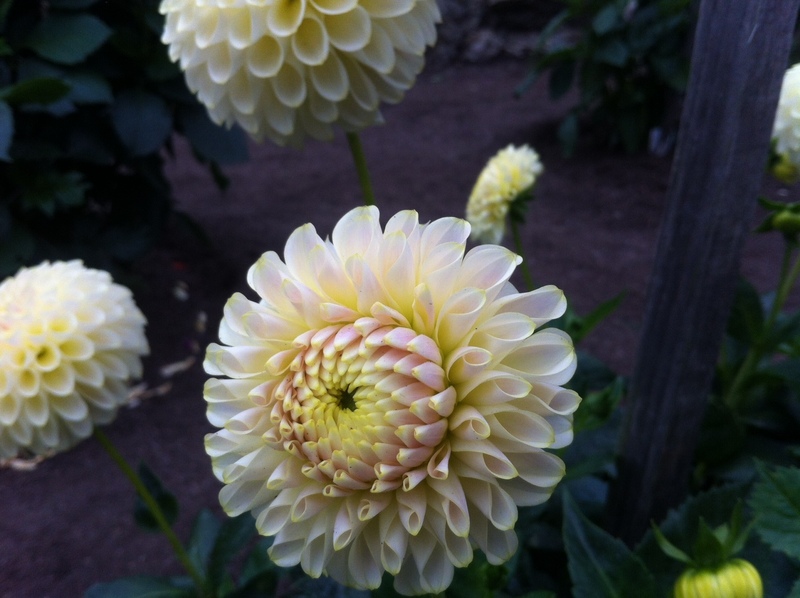 Nature’s Art: Dahlia Show in Golden Gate Park. Located in the northeastern corner of Golden Gate Park (near the Conservatory of Flowers), the Dahlia Garden celebrates the official flower of San Francisco with a diverse spread of colors that grow in a thick, fenced-in treasure trove of blooms. The Dahlias only bloom briefly once a year. The dahlias at Golden Gate Park start to bloom in June and reach their peak level of beauty in late August and September. However, you can still enjoy the radiance of the blooms all the way into October. One hillside section is barren. Another hillside section is full, but the area isn’t considered as prestigious as the center oval. There are only 5 benefactors for the Dahlia garden, who lord over their respective fiefdoms with incredible vigilance. There are over 700 plants. Each plants costs $25 to start, and then they are maintained by a small army of volunteers who field loyalty to the lords of their choice. Picking a Dahlia is considered high treason by the volunteers. One even said that every person that picks a Dahlia should be publicly slapped, another said that the people who pick the Dahlias should be shot and composted.